The first thing you need to know is that this piece probably shouldn’t be called “A Beginner’s Guide to Hiking in California.” A better title might be “A Beginner’s Guide to Hiking in Californias.” California is home to as many different climates and terrains as you might find in the rest of the continental United States. You might feel like you’re hiking in as many as a dozen different regions as you make your way through the vast Golden State. 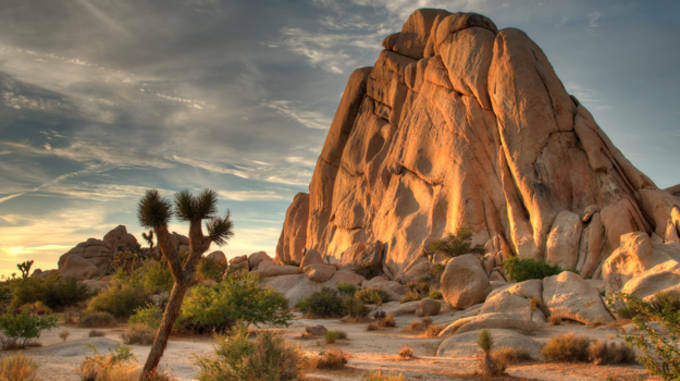 You won’t take the same approach to hiking the coastal Redwoods that you would the rocky desert at Joshua Tree. The High Sierras require a different approach than you would take as you navigate Big Sur. Hiking in California can be overwhelming because there are so many different options that require such vastly different preparations. Rather than make blanket statements about the hikes available in California, we want to introduce you to some of the many amazing outdoor possibilities that the state has to offer. But, before we get started, rest assured that no matter what hike you choose, you’ll be glad you made the trek. CamelBak: Not only lighter than most other hydration options, but there is something about having the tube right in front of your face that motivates you to stay hydrated. Hiking shirt and pants: REI, Columbia and many other fine outdoor shops will try to sell you hiking clothes. 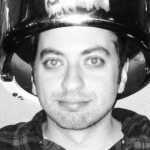 The savvy consumer in you is probably going to be skeptical. Don’t listen to that voice. Hiking gear is made to be breathable, but withstand the elements (to an extent). This gear keeps the cold out and the warm in, while drying sweat and rain faster than other clothing. Hiking shoes: Even if you ultimately decide to buy on Amazon or Zappos, go to a store like REI to get your shoes fitted. You’ll want to be incredibly comfortable in your hiking shoes, so trying them on is a must. Hiking socks: This is the single most important purchase you can make before you get out in the wild. Pick up two pair, so one can dry out while you wear the other. Flashlight: Prepare to get lost. Bring a flashlight, some food, a compass and a map with you on every hike. The big knock on California is that there aren’t any seasons. This is kind of true for the major coastal cities of Los Angeles, San Diego and San Francisco. This is very much not the case for much of the state. Winter in Yosemite and Sequoia National Parks means chains on your tires and snow on the mountains. Summer in Joshua Tree or Death Valley means temperatures above 110. Every single state and national park offers average highs and lows for you to consult as you plan your trip. Park rangers are also available and responsive. I usually call ahead before I plan a trip, and I almost always get a ranger on the phone who is willing to talk with me until long after I’m ready to hang up. If you’re looking for something in particular, be it a certain species of wildlife or a hike with the perfect level of strain, they should be able to set you straight. If you’re too bashful to chat with a strange park ranger on the phone, there are abundant online resources. But, before you go digging through digital mountains of information, let’s talk broadly about the different outdoor options throughout the state. Before we really get started, here’s a fair warning. People in California like to be outdoors. 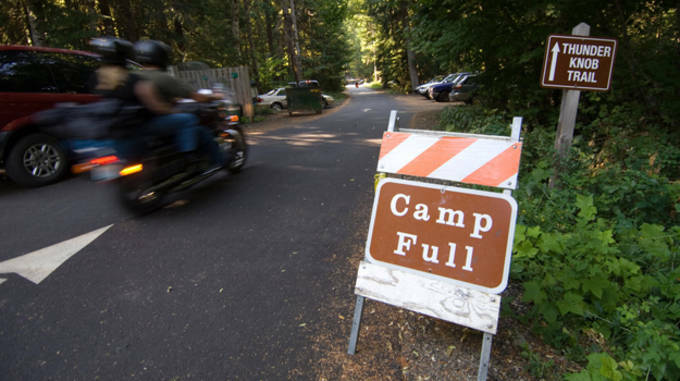 While you can often walk into East Coast parks spur of the moment and reserve great campsites in the Smokies or Acadia, West Coast parks fill up fast. Reservations in Yosemite are snatched up as soon as they are released. 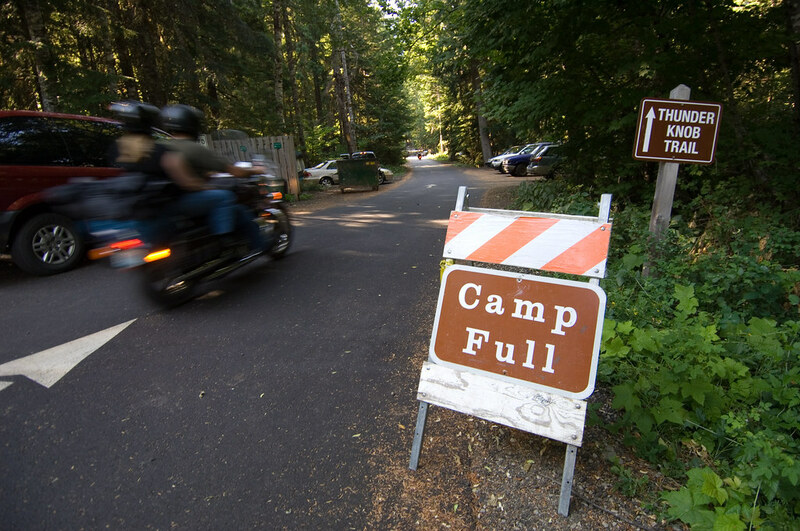 The coastal state parks offer limited space, and tourists planning PCH vacations reserve their sites months in advance. Day hiking can be enjoyed at the cost of park admission, but your trip can be a lot more enjoyable if you stay overnight, which takes some planning ahead. Some states don’t have any national parks. California technically has twenty-six. Three of the largest and most diverse are in the Sierra Nevada Mountains. 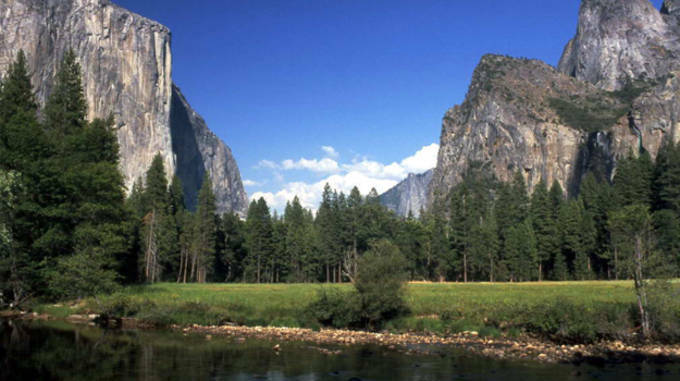 These three parks are Sequoia, King’s Canyon and Yosemite National Park. Though each of these parks offers unique natural landmarks, they offer some of the same hiking challenges. There is no shortage of trails through these parks, and it would probably take you dozens of trips just to get through the entirety of one park’s trails. So, when selecting your hike, don’t necessarily stick to the most popular trails. If you hit Yosemite during the busy season, you might feel swarmed by tourists. Popular trails through the sequoia trees get crowded, and King’s Canyon gets loaded up with locals as it is a favorite regional haunt. So, do your research ahead of time and pick a trail that isn’t too heavily travelled. Once you’ve chosen your trail, bear in mind that the altitude and the temperatures vary widely in these parks. A couple months ago, I went on a hike with some friends in Sequoia that took us from a little over 7,000 feet to well over 9,000 over the course of seven miles. The last leg took us about as long as the first few miles, as we huffed and puffed our way through the thinner air. The temperature also dropped roughly thirty degrees from our base camp at 2,000 to the end of our hike. Don’t be afraid of elevations though (unless, of course, you have a prohibitive medical condition). If you are only doing one hike, pick one that ends at a mountain overlook. Only the Rockies offer views comparable to what you’ll see in the Sierras at high altitudes. Don’t waste your chance to truly see as far as the eye can see. 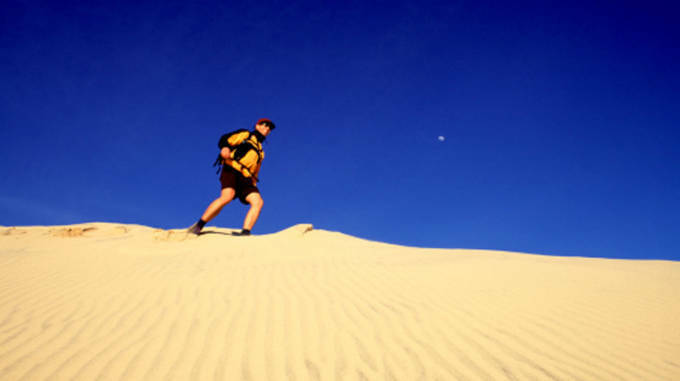 There are a variety of desert hikes available throughout California. Death Valley, Mojave and Joshua Tree are probably the best-known desert nature areas. Whichever desert park you choose (Joshua Tree is my favorite), you will want to think about some of the same principles before you walk off into the desert with only the clothes on your back. First off, bring more water. It doesn’t matter if you think you have enough, bring more. Winter temperatures still reach 80 degrees in some parts of the desert, and you haven’t truly felt dry heat until you get out in the desert sands. Secondly, realize that just because it’s the desert doesn’t mean it doesn’t get cold. You could see snow in parts of Death Valley. And even where winter temperatures remain fairly high, it could get down around freezing come nightfall. Also bear in mind that there is no shelter from wind, so check the forecast beforehand, and be prepared to cut your hike short if gusts are going to get fierce. It is pretty amazing that California gives you the chance to walk through Endor. The California redwoods stood in as home of the Ewoks, and you can walk the same steps as the furry critters along the northern coast. This verdant area feels other-worldly, and offers some of the most beautiful terrain you’ll likely ever see. The first thing you need to know about the redwoods is that there isn’t just one place to see them. 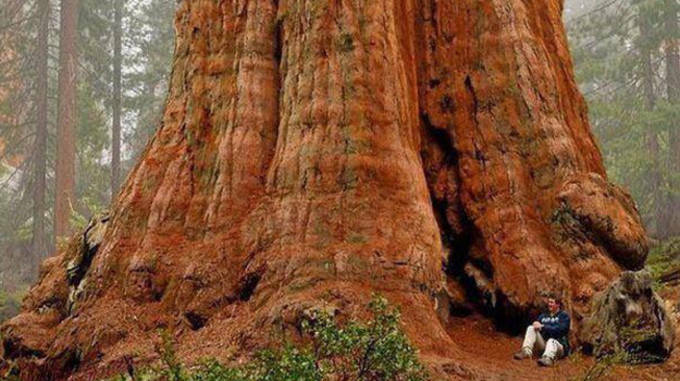 Roughly a dozen state parks and recreation areas are home to at least some redwood trees. 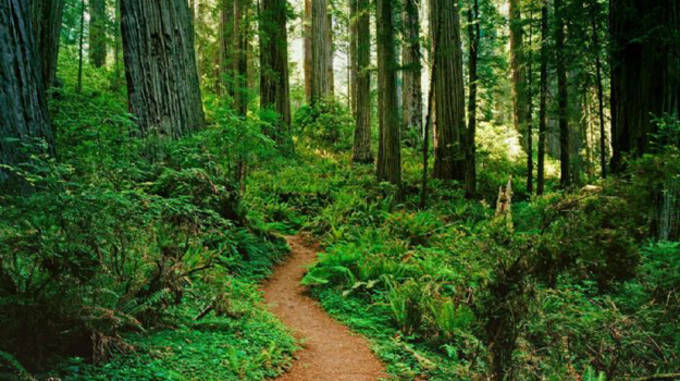 When people talk about going to see the redwoods, they are usually talking about Redwoods National Park (though if you’re in San Francisco for the night, Muir Woods might be your best bet). Redwood National Park hugs the coast, which provides a few unique challenges for hikers. First off, the 101 also hugs the coast, so there are far fewer trails and camp sites than you might think. While the national parks to the east are vast and filled with endless trails, the coastal parks can get crowded as there is only so much room between the highway and the coast. Every trail I walked on there was well-populated and the campsites were filled by noon. Another issue is that it is going to be wetter than you think. Even if you don’t get rain, you may feel a mist throughout your walk. This also means more fog. Your scenic view could be obstructed by a thick fog, which may also stop you from realizing just how steep the slope is that you’re encountering. The moist, foggy environment adds a mysterious, lovely quality to the hike, but make sure you have a rain coat and a reliable map just in case. 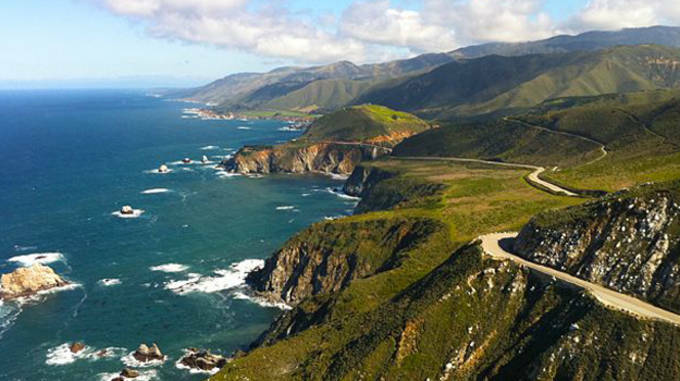 One of the most breathtaking stretches of highway that you can drive in all of America is the segment of the Pacific Coast Highway that rolls through Big Sur. The rocky coast is the stuff truck commercials dream of. The lovely road presents the same geographical problem you have in the Redwoods, but worse. The PCH hugs the coast and craggy mountains hug the highway, there isn’t much room for hiking and camping. If you are trying to hike anywhere but right on the coast line in this part of California, you’ll want to hit the state parks that dot Big Sur. These state parks are smaller than the amazingly hike-able eastern Cali national parks, and if you’re camping, these coastal parks fill up fast. You’ll want to reserve spots in Morro Bay or Montano de Oro State Park months in advance if you hope to pitch a tent. While Yosemite, Sequoia and even Joshua Tree offer hikes well over ten miles, if you are in Big Sur you’re better off planning to string together several hikes under three miles. The rolling hills and craggy coastline is certainly worth it, but just be aware that you might run out of land to hike. For some California residents it might be more convenient to leave the state than to travel longer distances to far-flung in-state parks. 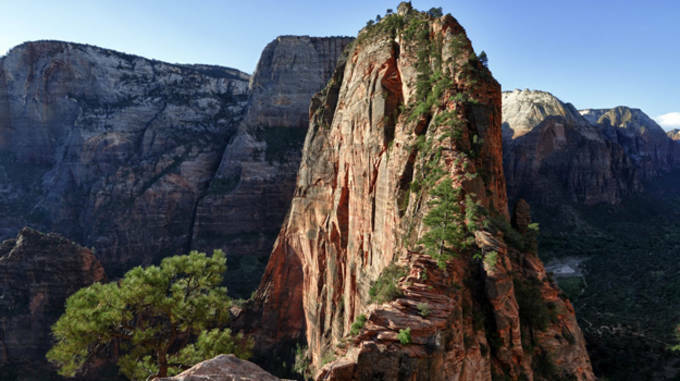 Utah is home to a cluster of national wonders that rival any group in the world. Though Colorado and California often get credit for their natural beauty, Utah gives both states a run for their money. 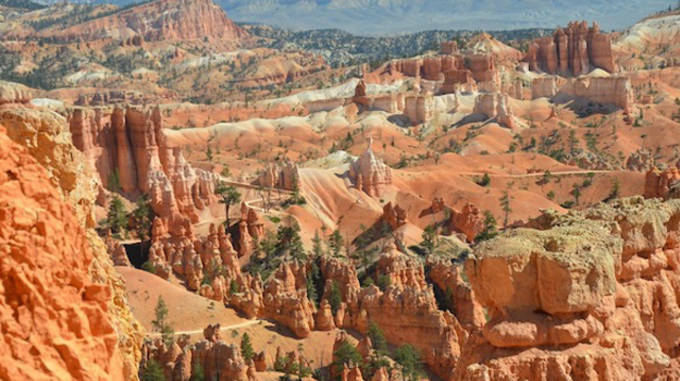 Two of the best hiking parks in Utah are Bryce Canyon and Zion. Both of these parks have trails that make their way through some of the most breathtaking geology in the world. Some trails take you through grottos where you’re hiking within a stream. Others take you to precarious peaks. There are trails that take you through winding canyon horse paths. You’ll even see trails that walk you right to the edge of mammoth gorges. The parks of Utah shouldn’t be missed. You may not have to go far to find good hiking spots. If you are in or around Los Angeles, there are plenty of options for you without even leaving the metropolitan area. Out in Malibu there is a small chain of state parks that offer some lovely options for beach hiking. 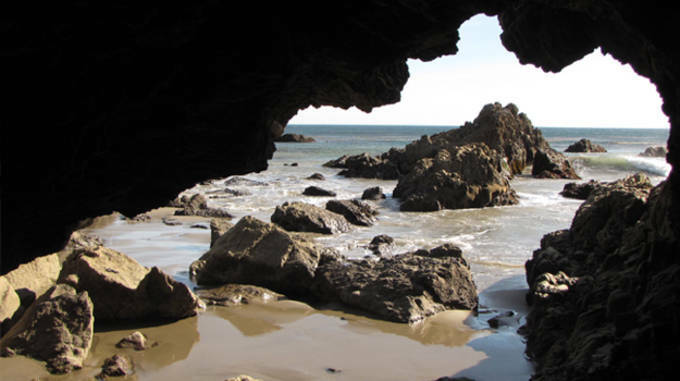 Malibu Creek State Park, Topanga State Park, Leo Carrillo State Park and Point Mugu State Park all offer beachside trails that will allow you to get back to Santa Monica by Sunday brunch. Less adventurous L.A. residents might very well invite you to “go hiking.” Be advised that what they probably mean by this is a trip up Runyon Canyon above Hollywood. This is less a hike and more of a walk up a big hill. You are less likely to see wildlife and more likely to see scantily clad starlets taking Instagram selfies on this “hike.” The “scenery” is wonderful; don’t get me wrong. It’s just isn’t exactly what you think of when you talk about roughing it. 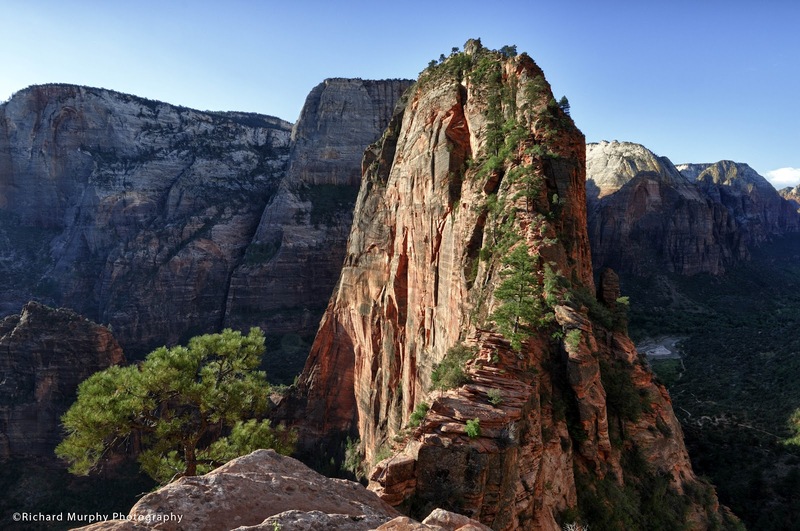 Angel’s Landing, Zion National Park (Utah) – 5.4 miles – Amazing hike, but not for those scared of heights. You have to shuffle along the mountain holding onto chains to finish your journey. Big Baldy, King’s Canyon / Sequoia National Forest – 4.2 miles – Gentle slope leading to a breathtaking view. Hidden Valley, Joshua Tree National Park – 1 mile – This tiny trail is surrounded by boulders and small mountains to climb in and around for hours. Peek-A-Boo Loop, Bryce Canyon National Park (Utah) – 5.5 miles – Bryce Canyon is often overlooked, thanks to nearby Zion and Grand Canyon, but the unique geology makes for an amazing hike. Tokopah Falls, Sequoia National Park – 3.4 miles – Not the most impressive trails, but if you’re looking to see wildlife, black bears love to hang out here. Twin Lakes, Sequoia National Park – 14.1 miles – Scenic, if a little strenuous, climb to two beautiful secluded lakes at a crisp, high altitude.